The Working Group Dog Club of Alaska/Bernese Mountain Dog Club of Alaska are gearing up for our 10th year of being able to support the dog community for Eye Clearance. We have been able to do this from your continued support over the years. 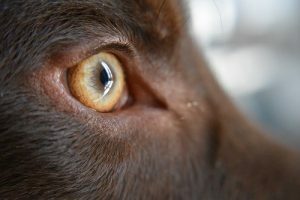 Keep in mind we bring Dr. Paul Scherlie up from out of state and have to pay all expenses associated since we do not have a full-time dog ophthalmologist in Alaska. We count on your continued support and without you, this clinic would not happen. Dr. Paul Scherlie will be providing his services on 9-10, February 2019. Sunday, 10 Feb will be in Anchorage at The Pet Stop. You can use Credit Cards if you go through Pay Pal! You will need to go to www.WGDCA.org and follow the link. You will find a drop-down menu for the number of dogs with the fee. If using Pay Pal, You will still have to send your registration form either through email via a scan pdf, jpg or regular mail. We realize for those of you who have 6 or more dogs, we don’t check registrations to see who owns the dog(s). So this may be of some benefit for you. Since I only use email for tracking capability, please do not use FB or Messenger for this. It just does not work for me. Also if you know of someone that I may not have sent this to, please feel free to forward or let me know and I can send it to them. Some of you belong to Specialty Clubs so if you can post this or send to your membership as I do not have that information.